On this week’s episode of The Insight I discussed the field of cultural evolution with Richard McElreath. 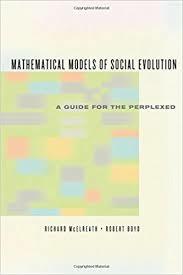 The author of Mathematical Models of Social Evolution, he was in a good place to explain why the field is relatively formal. This is in contrast for example to modern American cultural anthropology. Basically, formality keeps you honest and allows you to be wrong. Verbal arguments are amenable to subtle and not so subtle updating so as to dodge the acceptance that a model is false nearly indefinitely. Words are just imprecise enough that miscommunication can creep into the discourse. I thought of this while reading The First Farmers of Europe: An Evolutionary Perspective. 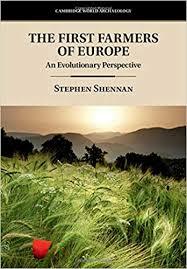 This book outlines the latest results from a variety of fields and refutes once and for all one particular mathematical model of how agriculture spread to Europe. I am alluding here to the “wave of advance” model for the spread of agriculture in Europe (most forcefully pushed by Albert Ammerman and L. L. Cavalli-Sforza). The general idea here is that farming spread through demographic increase and the diffusion of the excess population as a particular region achieved its carrying capacity. 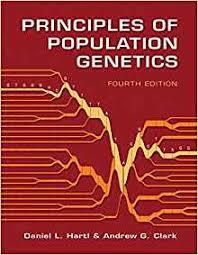 Like R. A. Fisher’s ambition to make evolutionary genetics as regular as the laws of thermodynamics, the proponents of this viewpoint were attempting to reduce a complex cultural process down to a few parameters. And certainly, it was a useful null model in its time. While a wave of advance should proceed gradually and continuously, the reality as outlined in The First Farmers of Europe is that farming expanded in Europe is a discontinuous manner. Both spatially, and temporally. Instead of an expanding wave, diluting its genetic signal through admixture in all directions, what ancient DNA and archaeology seem to indicate to us is that early European farmers expanding from the southeastern fringe of the continent into Central Europe (LBK) as well as across the Mediterranean (the Cardial Culture) were very particular about where they settled. The LBK in Central Europe were the first farmers of the region, and close examination of their settlement patterns suggests that they were dense agglomerations in areas characterized by loess soils. Vast swaths of territory remained forested, likely inhabited by Mesolithic hunter-gatherers. Additionally, the expansion of the LBK was not gradual. Rather, they expanded rapidly from the edge of the northern Balkans, where the boundary between agriculturalists and hunter-gatherers had remained static. This illustrates a general principle: cultural change is often discontinuous, punctuated. Stephen Jay Gould asserted that “stasis” of biological forms were maintained through some form of balancing selection. I think the reality is that stasis culturally is much more empirically supportable, and it’s due to the human tendency to conform and follow group norms and traditions. It took decades for Central and Eastern European farmers to take up potato cultivation, despite the fact that their soils and climate made this an ideal crop. Farmers are simply conservative. 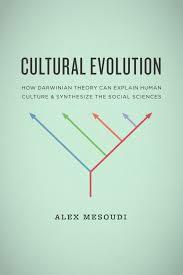 But, culture can go through periods of rapid change and equilibration. Why? 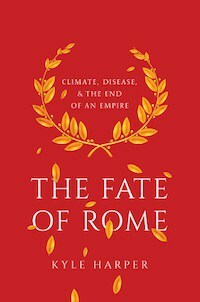 Though external exogenous forces, like climate change, might trigger the initial steps, ultimately a set of endogenous factors might result in a rapid shift from one state to another. The Roman adoption of Christianity as the state religion. Or the radical change in mores in the West between 1965 and 1970. And, the emergence of the LBK cultural complex and its rapid expansion in a few centuries from northern France to Poland. The First Farmers of Europe relies heavily on ancient DNA to clarify the demographic character of particular cultures, but its archaeological focus means that the author resolves the mechanism by which particular dynamics in the ancient DNA literature came about. For example, between the early and middle Neolithic period in Northern Europe, the fraction of Mesolithic hunter-gatherer ancestry amongst farmers increased from less than 10% to nearly 30-40% in some areas. What happened here? It seems the early intensive farming techniques gave way more extensive patterns of subsistence, which resulted in the encroachment of agriculturalists on territories inhabited by hunter-gatherers, and the ultimate absorption of the latter by the former. There is a lot of specific detail that is fascinating in The First Farmers of Europe . In particular, through deep exploration of the arrival of farming to the British Isles the narrative illustrates the boom-bust cycles that characterized early agriculturalists within Europe. Early Neolithic farmers in Britain and Ireland, likely descended from populations with more affinity to the Cardial Culture than the LBK, shifted from wheat, to barley, to agro-pastoralism. This is down the ladder of per unit of land productivity. Barley is more resilient than wheat, but a less productive crop. This indicates that their lifestyle was fundamentally not sustainable, and the late stages of Neolithic British culture were defined by lower population densities and greater mobility than earlier periods. The rise of Stonehenge is coincident with the shift to agro-pastoralism, but the phenomenon of “henges” seems to issue from the far northern region of Scotland and the Orkneys, which retained a higher density and more complex social systems longer than other regions of the archipelago. We know now that this fallen world ended with the arrival of the Beaker Culture ~2500 BC. Genetically it seems that the dominant signal that you see in the modern British Isles dates to this period, with only a small proportion derived from the Neolithic people, let alone Mesolithic hunter-gatherers. I suspect that the Beaker Culture is associated with the arrival of Celtic languages in the British Isles. And, I suspect that the mythos preserved by people such as the Irish may then be associated with events and happenings in the transition from the Neolithic to the Copper Age. Though the people who built Stonehenge were superseded, we know that their successors repurposed the site for themselves. The former people and their creations were likely not forgotten. I believe, for example, that the legends of the Tuatha de Danann preserve elements of contact between the later Neolithic peoples and the incoming Beaker Culture. The Tuatha de Danann are in fact associated in legend with sites which date to the Neolithic. Clearly, we are reaching the end of the road in general insights for how agriculture spread to most of Europe. By and large, it was through migration. It did not occur through mass action of individual actors continuously and gradually through reproduction. Rather, it spread in fits and starts, and in the early period was highly localized with a patchy distribution. How general are these insights to other parts of the world? I suspect that we’ll see similar dynamics elsewhere. As details get fleshed out, archaeology needs to be synthesized with other fields such as myth. The closing of one intellectual frontier will result in the opening of others. In retrospect, I wonder how we ever found the idea of a farmer demographic steamroller as persuasive as we did. Even thinking in terms of the wave of advance model, it’s in hindsight implausible that the densities achieved by neolithic people before their move on were anything like historically known densities. I wonder if some of this is from the focus on the southeast, where there’s more potential for mass movement from NW Anatolia, unlike in the rest of Europe where farming is established by these pulse movements, who wouldn’t have an overwhelming population size compared to mesolithic HG groups they met. I still wonder about how intensive the agriculture was for these early communities as well and how much leisure time they had. The strongest evidence to me for very high intensity, as opposed to some sort of low intensity garden agriculture, is reduced stature, which indicates poor nutrition. But that also seems to combined with pretty high levels of strength in neolithic people (men and women), which is at odds with malnutrition. Reduced stature might have something to do with the activity patterns of agriculturalists, rather than necessarily their nutrition? On nutrition, direct nitrogen isotope study suggests less meat consumption in Early Neolithic than later, *but* potentially confounded by use of manuring which “increases δ15N values in soils resulting in higher nitrogen isotope ratios in the tissues of animals and humans consuming fertilised crops”- https://www.ncbi.nlm.nih.gov/pmc/articles/PMC5944993/. Same signal in herbivorous crop consuming domestic animal bones strengthens case change in humans not solely due to meat consumption. (Increasing use of manuring also seems more likely to reflect more intensification of practices to improve soil as good land is used up). Please excuse my naive Neolithic technology question (about plowing and slash and burn technologies). The early settlers presumably selected loess because it was easier to till soil? And in the absence of metal plowshares and axes, they eventually transitioned to plowing harder soils. But how did they achieve deforestation? Wouldn’t they need to get rid of stumps and roots after removing the trees, for their low-performance plows to start working? no plow. but they did more than slash & burn. plow came thousands of years later. Oh, thanks, I see. Do people still agree with the picture painted by Bogaard in Neolithic Farming in Central Europe, An Archaeobotanical Study of Crop Husbandry Practices, 2004? That open areas use for agriculture in the initial European Neolithic were small, tilled with hoes, and probably not manured? There is a 2017 paper which tried an experimental approach to evaluate various ways to work the soils using Neolithic pre-ard plow technologies ( https://www.mdpi.com/2073-445X/6/1/11/pdf ) and they find slash-and-burn with a single season of post-burned cultivation vastly more effective (following slash-and-burn with a few years of ag use before moving on). Apparently in addition to the mechanical properties of soils, the applicability of the Neolithic toolkits also critically depended on climate. Like they suggest that precipitation over 500 mm a year makes reforestation so quick that it impedes sustained, multi-year cultivation of land. Did the agriculturalists outside of the loessy, less humid area have to roam so often that their artifacts become too spread out to be effectively discovered by the archaeologists? A separate question, so the spread of plowing looks like another technological revolution … was it achieved solely by the spread of ideas (not peoples)? And what other ideas might have spread together in a package? For the record…Dave Anthony and I said all this (minus the mathematical modeling and the new, confirmatory paleogenomic data) back in 1979, then again in 1990 and 2003.
the core elements that produced the observed pattern of dates. But how did they achieve deforestation? There is a lot of rot in wood, especially if you can get the termites to help. I’ll add something from my own experience that might answer your question (having owned and plowed similar). The elevation and nature of these European soils would normally have different types of oak stands which in their virgin state populates the landscape like swiss cheese. So large circular open areas would be natural in that landscape, very much unlike a pine forest or maple. Oaks, trunks and roots also decay quite fast. I imagine the understory trees like yew or whatever would be the real problem but I’ve never seen a yew, I’m just guessing based on my experiences with mountain cedar. I did all my work with machines, tractor, trucks and dirtbike chainsaws and it all sucked a lot. My best guess is that early farmers took advantage of the natural clearings and let cattle and goats munch down the surrounding areas that they slowly worked. Personally, I think much of the slash and burn 3rd millennium was not for tilling but to open up the canopy a bit and burn understory for pasture. To take it a step back from Europe, I’ve been really curious about how it went down at the *very* beginning. It seems like full-on agriculture got going in the Levant, Anatolia, and Mesopotamia around the same time. Prior to the aDNA evidence I would have expected the cultures to be way more related (all three more like Natufians/Levantines) but it turns out they were all really quite distinct. So, during these initial dynamics and contrary to what happened later in Europe, apparently at least some some of the local HGs were more willing to quickly adopt agriculture. Speculatively this may have to do with the already-established obsidian trade networks in the region? Even so it’s still surprising how little admixture there was between the groups. how did mallory figure out 1000 bc? i read his book about the irish but it was pretty dull. Might be best to reread as it is a very involved chapter (pages 243 to 286), especially for any not regularly working in the area. It’s not easily summerised, but; he discusses the whole ‘Celtic’ paradigm, linguistic time-depth, hillfort archaeology, etc, summing up on the 1000 BC date on page 286. Most Irish scholars favour the very last centuries BC, but as Byrne et Al demonstrated, not all geneticists are aware of this so still use the ‘Celtic’ paradigm. @Adrian Martyn – isn’t the discussion of the linguistic depth hampered by the fact that hardly anything remains of the Continental Celtic languages, and what remains is largely distorted short snippets, so the 1000 BC may be an estimate for a more shallow branching of the Celtic languages of Britain? There is no doubt that the material elements of Hallstatt culture seep from Central Europe into Britain after 1000 BC, but how much confidence remains in today’s linguistic and archaeology communities that this flow of technology coincided with a change of languages, and (conversely) to what degree the genetic continuity of the 1000 BC Britain may convince us that the islands didn’t experience yet another population turnover around that time? @Dx: to what degree the genetic continuity of the 1000 BC Britain may convince us that the islands didn’t experience yet another population turnover around that time? Some bearing on that, discussion of post-Beaker mixture events – https://www.bbc.co.uk/news/science-environment-43712587 – which you’ve probably seen. Such constraints are real, and time-depth certainly has pros and cons. Yet rather more continental linguistic evidence exists than seems to be commonly known (relatively speaking!) – due to so many written in French, German, Spanish, Italian?. De Hoz, Prosper, Ruiz Zapatero, Sims-Williams, Delamarre, Dietler, Collis,de Bernardo Stempel, all deal with various aspects of the issue, de Hoz and Sims-Williams perhaps especially so. Yet as Mallory notes, “almost any approach to dating the divisions between Proto-Irish and the other Celtic languages tends to fall somewhere within or close to the first millennium BC … [suggesting] that bringing a Celtic language into Ireland becomes linguistically increasingly difficult to accept the earlier one recedes from c. 1000 BC. 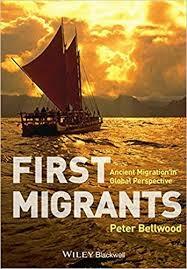 … Now the irony of course in pitching the spread of a Celtic language onto Ireland after the Neolithic – day in the Bronze Age or Iron Age,the traditional ‘windows’ …is that these are periods for which both the archaeologists and geneticists are hard pressed to find serious evidence of significant movements of population or any major cultural intrusions.” (Page 264). As far as I recall, Renfrew agreed. MacEvoy et al in 2004 wrote “[N]either the mtDNA pattern nor that of the Y-chromosome markers support a substantially central European Iron Age origin for most Celtic speakers – or former Celtic speakers – if the Atlantic facade … From genetic research among the present Irish population, there is no evidence of other major migrations [since c. 3500 BC to medieval era]”. Ellen Royvivk said much the same in 2010, her comparison between the Irish and those in the Celtic home territories of southern Gaul. These are points Irish archaeologists have been making for decades, and Irish historians for over a century. The problem always goes back to the ‘all Celtic-speakers=ethnic Celts’19th century paradigm so many continue to insist upon. So the problem lies not with evidence but Anglo cultural issues and their culture’s way of ‘defining ‘Celts’. “Are … the Irish Celts? The answer is no in terms of our remote origins as we cannot establish any significant racial, ethnic or cultural connection to those Iron Age groups on the Continent called ‘Keltoi by the Classical writers. The Celticity of the Irish lies in later cultural associations connected to the perceived origins of the Irish language and the mythologising of national identity in the modern era.” (William O’Brien, 2012, page 249). Evidential conclusions like this render unreadable Davis’s The Isles and various BBC programs unwatchable as they are not keeping pace with research even within Britain. The Beaker results were incredible, but, their applications towards Ireland still need care. Reich is probably spot on, @Matt, as ever. My own suggestion is the probable Iron Age intrusion brought Celtic to Britain which was later diffused into Ireland, though the population seem to have been ‘Belgae’ rather than Keltoi. More from him on this is eagerly awaited. Related to topic – https://phys.org/news/2019-02-prehistoric-food-globalization-spanned-millennia.html – links to a nice little ‘big picture’ research article trying to say something about the constraints on early farming, and changes in practices to more fully exploit crops and the landscape, including the user of broader integrated farming packages from across Eurasia. Abstract: Many of today’s major food crops are distributed worldwide. While much of this ‘food globalisation’ has resulted from modern trade networks, it has its roots in prehistory. In this paper, we examine cereal crops that moved long distances across the Old World between 5000 and 1500 BC. Drawing together recent archaeological evidence, we are now able to construct a new chronology and biogeography of prehistoric food globalisation. Here we rationalize the evidence for this process within three successive episodes: pre-5000 BC, between 5000 and 2500 BC, and between 2500 and 1500 BC. Each episode can be characterized by distinct biogeographical patterns, social drivers of the crop movements, and ecological constraints upon the crop plants. By 1500 BC, this process of food globalisation had brought together previously isolated agricultural systems, to constitute a new kind of agriculture in which the bringing together of local and exotic crops enables a new form of intensification. The last phase of this, of course that they describe, overlaps with the ‘Bronze Age’ shift in Europe, while the intermediate phase overlaps with expansion of farming onto Northern and Western European margins.